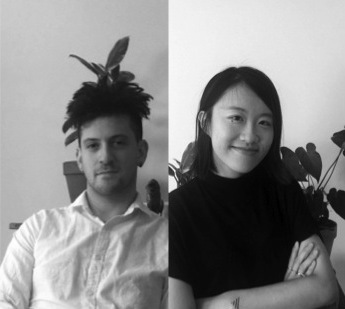 M+ and Design Trust are pleased to announce the recipients of the M+ / Design Trust Research Fellowship 2016: Joseph Grima and the team of Daniel Cooper and Juliana Kei. Now in its second year, the Fellowship—which is hosted by M+, the new museum for visual culture as part of the West Kowloon Cultural District; and funded by Design Trust, the Hong Kong-based non-profit grant-making entity—supports high-level research relating to design and architecture history and contemporary issues focused on Hong Kong and the Pearl River Delta, in relationship to the rest of the world. Daniel Cooper and Juliana Kei, who are pursuing their graduate studies in New York and London, respectively, will undertake a three-month fellowship. Their topic, entitled ‘76 Countries and One Administrative Zone: Hong Kong in World Expos’, will investigate Hong Kong’s representation on the international stage, focusing on the 1964 New York World’s Fair and Expo ’70 in Osaka, and how those events helped construct and reinforce an image of the territory via a complicated interaction of objects, building technologies, identity, and colonial expectations. M+ / Design Trust Research Fellows are selected by a jury consisting of M+ and Design Trust representatives, based on their topic and ability to contribute to bodies of knowledge relating to design and architecture in Hong Kong and the Pearl River Delta region. Recipients spend between three and six months attached to M+, at the end of which they produce a paper and public talk. Fellows receive a monthly stipend and one-time travel grant from Design Trust. Daniel Cooper is a Master of Science student in the Critical, Curatorial, and Conceptual Practices programme at Columbia University’s Graduate School of Architecture, Planning, and Preservation. His research explores the role that science and technology have had in changing conceptions of architectural practices in the nineteenth and twentieth centuries. His current research revolves around historiographic methods that subtly negotiate objects and people. Since 2012, Cooper has worked with carriage trade, a non-profit gallery in New York, and is now its Assistant Curator. He has held editorial positions at Columbia Journalism Review and Cabinet Magazine, and is currently expanding his practice into the design and product development of executive desk toys. Cooper is a graduate of Hampshire College. Juliana Kei is a Master of Philosophy student in the Victoria and Albert Museum / Royal College of Art History of Design programme. Her research explores the role of tradition in post-war British architecture through an intellectual biography of Theo Crosby, a founding partner of the design firm Pentagram. In 2013 she worked as an Assistant Curator for the Shenzhen Hong Kong Bi-City Biennale of UrbanismArchitecture. Kei practiced architecture in New York, London, and Tokyo prior to returning to Hong Kong, where she helped set up a satellite office for the Shenzhen- and Beijing-based architecture firm Urbanus from 2011–2013. Kei has taught at Columbia University and the University of Hong Kong, and is currently lecturing a course on critical and cultural studies at the University of Hertfordshire. Kei received her Master of Architecture from Columbia University and Bachelor of Architecture from the University of Hong Kong. A cornerstone of the ambitious West Kowloon Cultural District, M+ is Hong Kong's new museum for visual culture, encompassing twentieth and twenty-first century art, design and architecture, and moving image from Hong Kong, China, Asia, and beyond. From its vantage point in one of the world's most dynamic regions, M+ will document the past, inform the present, and contribute to the future of visual culture within an ever more interconnected global landscape. The museum will take a multidisciplinary approach that both challenges and respects existing boundaries, while creating a meeting point for a diversity of perspectives, narratives, and audiences.